Have you ever needed the ability to backup the entire contents of your mobile device? Most backup software does not give you the capability to get all of the information from a cell phone to include application data (apps) or deleted information. Do you need the ability to find out what employees are doing on company mobile devices? Are they exposing secretive corporate data? Are they sending information to competitors giving out your latest contract or business plans? Are employees using their corporate mobile devices for illicit purposes, breaking the law? Have you ever needed to know what a loved one is doing on a mobile device to ensure they are safe, protected and not releasing sensitive information about you, your family or your loved ones? Digital Shield, Inc. uses the latest technologies, hardware and software to extract information from mobile devices. 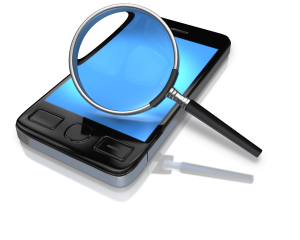 We also use the latest Industry Standards when conducting investigations on mobile devices to ensure the information is admissible in court proceedings if necessary. Digital Shield examiners are former law enforcement and have testified in court both federally and at the local levels (State) for their forensics findings.